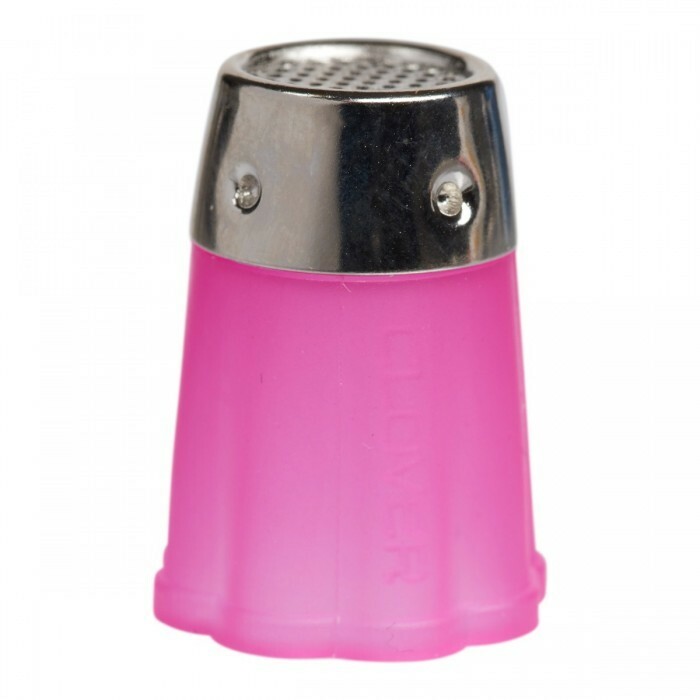 Thimble made of pink silicone with metal cap, from Clover. 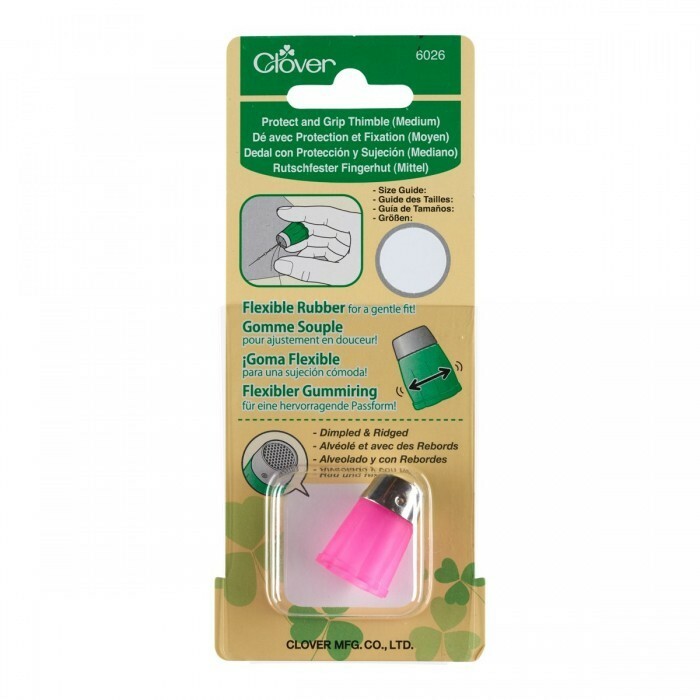 The thimble is flexible, giving it a good fit on the finger, which feels much more comfortable than the classic thimble in pure metal. The thimble has a diameter of about 1.5 cm.